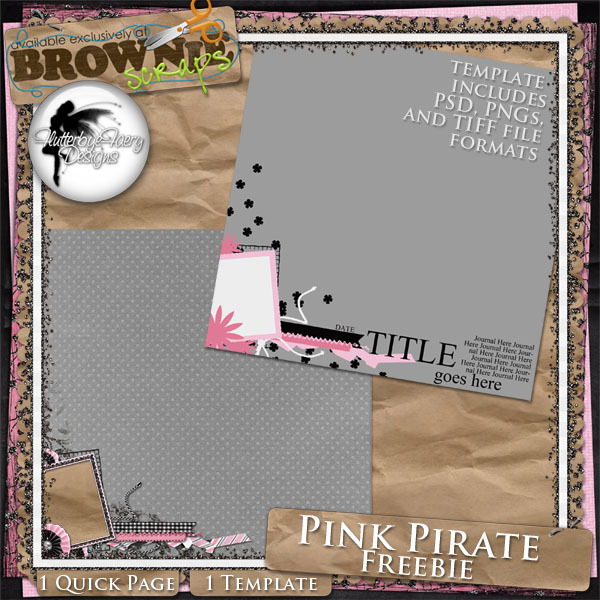 FlutterbyeFaery Designs: New Release - Pink Pirate & a Freebie! 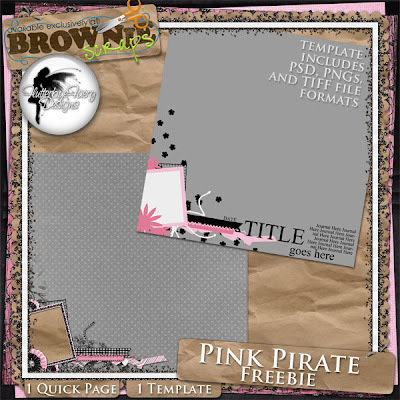 New Release - Pink Pirate & a Freebie! A fun girly skulls and crossbones kit. Contains 10 papers, 24 elements, and an alpha. 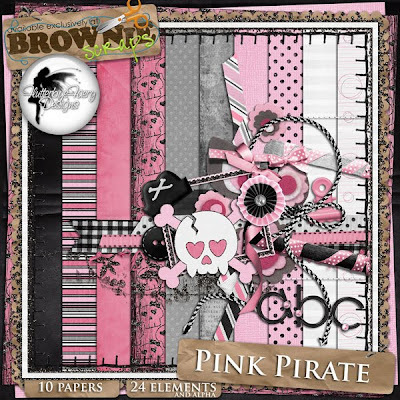 Elements include: bow, button, clip, flowers, ribbons, frames, stitchings, glitter, photo mask, string, and skull and crossbones. And if you buy it today, Wednesday, you'll get 25% off too! And the freebie! A template and a quick page! Thank you so much. Your kit is beautiful and my girls are happy that I bought it.